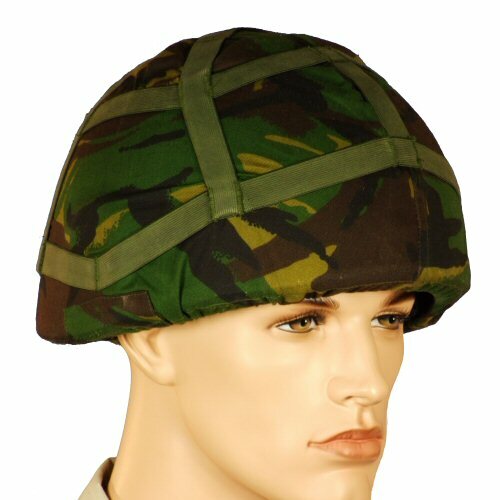 Current issue British Army cover for Mk6 kevlar helmet in DPM. Made of machine-washable poly cotton. 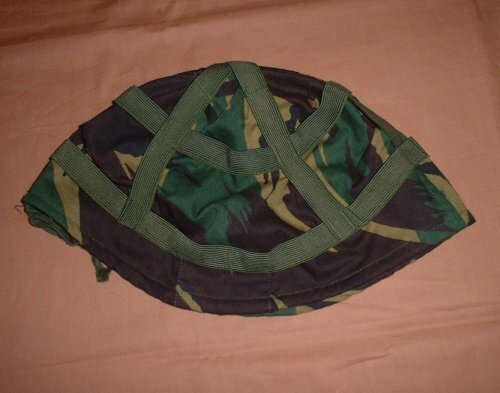 Elasticated bands across top and sides of cover enhance camouflage material carrying capabilities. Also has drawstring around hem for fitting to helmet. This picture shows it fitted to a helmet. Available options are: S-M , SML . 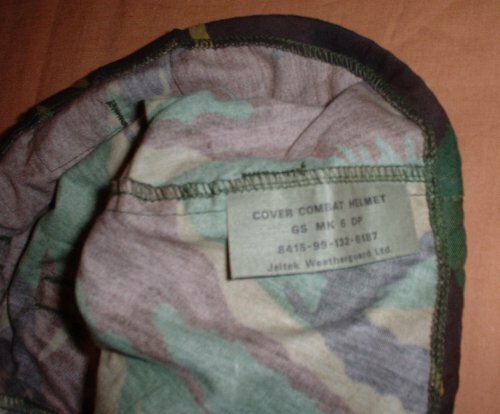 Picture of helmet cover on its own. Detailed view of interior labels.